Microsoft Sticks Fork in Xbox 360, Ceases Production | Nerd Much? 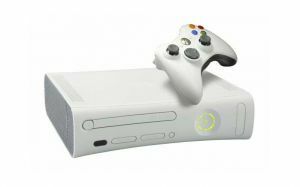 The time has come to begin mourning the official impending death of the Xbox 360, as Microsoft has announced that they’ll soon cease production on the console. According to a post by Xbox’s Phil Spencer, Microsoft will now cease Xbox 360 production after feeling the strain of manufacturing a now decade-old console. Spencer also noted that servers will remain active, meaning Xbox 360 gamers will continue to receive Xbox Live services like multiplayer and party chat, as well as Games with Gold and Deals with Gold. Xbox 360 games will continue to be on sale in the Xbox Live Marketplace, as well, so no worries if you’re still waiting to buy Battleblock Theater. Of course, we know that the termination of production is a business decision that’s meant to steer more Xbox 360 owners into upgrading to an Xbox One, and we certainly can’t blame Microsoft for pulling out all of the tricks; it’s no big surprise that they’ve officially stuck a fork in the 360. After all, it’s undeniable that the Xbox 360 was a formidable console, despite its initial Red Ring of Death issues. We’re sad to see it go, but hopefully it means that Microsoft will be placing all of their attention on developing for the Xbox One, and developers can officially stop developing ports for the Xbox 360. R.I.P. Xbox 360, my longtime friend.